If administrators don’t provide resources then employees have little incentive to report. If managers don’t take action on reported issues then employees will not report issues. If employees don’t report issues, then continuous improvement cannot happen. With this triad of hazard reporting elements in mind, here are indicators of good hazard reporting culture in aviation safety management systems. Your hazard reporting system is also a good starting point for building good safety culture. Communicating expectations of employee participation. Full documentation for how to report issues. Documenting the hazard reporting system ensures good audits results in this area and gives you a framework to improve your process where possible. When adjustments are required in the system, you seldom have to start from scratch if you have proper documentation from the beginning. Having a formal hazard reporting system requires upper management to commit financial resources, and the safety team to implement and support the system. Employees not knowing what to report. Trains staff on the benefits of reporting. Ensuring that all employees receive hazard identification training necessitate that upper management provides the financial resources and scheduling to ensure that this happens. Offering only one way to report issues, such as with a paper form, offers zero incentive for employees to report issues. The more methods you offer for employees to report safety issues, the greater chance that more employees will participate in the SMS and dutifully report safety concerns. The more options the better, so long as your organization can capably track and manage the volume of safety reports entering your hazard reporting system. When you have fewer than 40 employees, you may be able to manage the reported issues very simply using spreadsheets; however, be warned that if you ever wish to perform any data mining or predictive analytics on your safety data, spreadsheets will limit your abilities. An SMS database is the proper technology for storing and retrieving hazard reporting data. To drive this point home, the Europeans required a database since 2016 for operators with aviation SMS hazard reporting systems. Spreadsheets were explicitly forbidden in the EASA regulatory requirements. Something many aviation service providers struggle with is getting employees to report in a timely manner. It’s not uncommon for employees to wait several days or more to report concerns. Is this something you deal with in your organization? The following day the safety concern was identified. Stress importance of reporting quickly in your hazard identification training programs. There are operators who find that reporting safety concerns within 24 or 48 hours is not practical for their operations. While they want employees to report, the challenge is that employees are operating in remote areas, such as Northern Canada, Alaska and Africa. Other operators, such as defense contractors may have restrictions placed on their electronic communications during operations. In many cases, these employees are not connected to the outside world except by Satellite Phones. Internet connectivity is limited or restricted due to communication blackouts. In this case, offline hazard reporting is a viable alternative. Offline hazard reporting works like an app on your electronic device, such as a smart phone, laptop or tablet. No Internet is required. An employee may be out on operations for several weeks, so the offline hazard reporting app that you choose should allow for storing multiple hazard reports. When the employee returns to civilization (a strong Internet connection), the employee can review and submit the stored hazard reports to the centralized hazard reporting database. When employees don’t receive feedback on their issues, it may send the message that management doesn’t value safety reporting as much as they claimed during the hazard identification training. Consistent feedback tells employees that you value their effort. Remember, reporting issues is an additional action that goes above and beyond their daily work duties. Employees have a responsibility to report safety concerns. However, how do you enforce this? And when you do apply "tough love," you will have to consider the harm your punitive measures will have on your safety culture. For hazard reporting, it is easier to use a softer, coaching attitude toward employees when you detect that they were negligent in reporting a valid safety concern. When employees do report, it is a best practice to provide instant feedback. With the use of modern technology, this is easily accomplished by email. Following up with employee when report is closed. You need to communicate to employees that their reports matter and effect change. Feedback is the best way to do this. Feedback is inexpensive to give and may be among the most effective safety promotion strategies if performed in a timely and positive fashion. Guidelines for submitting issues (i.e., requirements for time period, critical information, report type guidance, etc.). These policies should be short and to the point and allow employees to easily skim and understand what is expected in your organization when reporting issues. Of course, policies are only as useful as how well employees actually follow them. It’s a very good sign when you see your policies being followed. But how do you know if employees are following your reporting policies? One way to monitor this is through classifications. 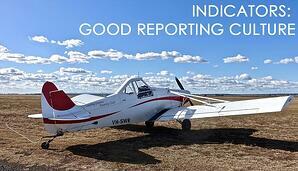 When issues are reported, you can classify if the report was made within guidelines or not. Over the course of months and years, you will be able to track trends in how well employees follow guidelines. Another way to monitor hazard reporting performance is through anonymous surveys. Simply ask employees if they feel they can safety report without fear of retaliation. 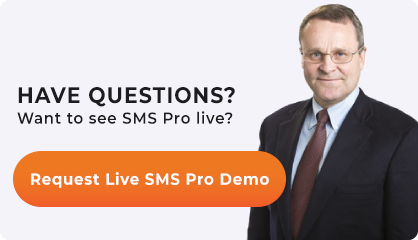 Having a stand-alone hazard reporting system is common among many new SMS implementations. These operators have to do a lot of inefficient copy/pasting from one system to another. A more sustainable approach is to integrate your hazard reporting system directly with your risk management system. These integrated SMS solutions allow for complex data mining and trend analytics. If you have a stand-alone hazard reporting system, or if you are not happy with your existing system, we can help. Published November 2018. Last updated January 2019.